Are you looking for some high-quality kids educational movies? Many parents dream of birthing a baby brainiac who can read and write even before walking or being potty trained. Of course, these are mostly parental pipe dreams, but that doesn’t preclude newer and better educational methods from vastly accelerating learning compared to when we were growing up. Educational movies are right up that alley. Movies make for a great way to flatten the learning curve because they are easy to absorb. 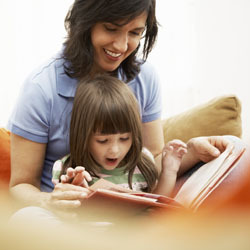 No reading required, which can easily outstrip a young child’s attention span in minutes or mere moments. But where should you go to find really good kids educational movies? Start with public television. It is freely available, highly child- and family-friendly and geared towards education. Many of us remember shows like Sesame Street and Reading Rainbow from our youth, and there are other shows and movies based on the teachings from such time-tested favorites. After that, look online since you’ve probably already got an Internet connection since you are reading this. There are some free sites dedicated to kids’ education, like KidsKnowIt.com, Kids.NationalGeographic.com and Kids.LearnOutLoud.com. You can also check YouTube.com, of course. But if free content isn’t cutting it for you, then by all means look for videos you can either rent or buy. Check out kid-friendly NetFlix.com to rent or Amazon.com to buy (what don’t they have?) your educational videos. The good news with paid content is that you’ll have plenty to choose from. The market for children’s education is huge and only growing stronger with more companies coming into the market to serve the niche. You may also consider something more interactive than pure movies, like games. Some game consoles even let you use them both as pure DVD players and gaming stations, so you’d still only need to buy one device. Modern games are packed with so much realism and interaction that they may be a great way to engage your kids’ attention to learn while still watching educational movies as a primary backup to interaction-based learning. Of course, it’s up to you to decide the media mix that’s right for your child. Each kid is different. So pay particular attention to what your little one responds to best, whether that’s kids educational movies, games or something else altogether. http://www.Brainpop.com is by far my favorite educational video website for children, and even for me, that I have ever seen. I love it. My son has learned a ton about everything from english to space and science. Great Article! I especially like your suggestion to not forget more interactive solutions. Our Wii console has lots of educational games and it gets them up and exercising with the FIT programs. Dont rule out the new low cost laptops either. Besides HD movies and games they allow to grow with more educational uses and at not much more cost than a gaming console. Indeed, the post is informative and helpful. Movies and multimedia will certainly trigger the kid’s brain, helping them to grow holistically whichever stage they may be in. Thanks for the post. This is a fantastic inspiration. I’ve always though that TV was for those who coudn’t be bothered to parent. I agree. Educational videos will honed your child’s skill and talent either in singing, dancing, painting or playing an instrument. You can also Watch movies together, read a bible (or any religious book for kids) to your child, or play board games with them. You will be amazed how creative and unique they are. We started with the Baby Einstein videos when the kids were very very young, about 6 months and they really loved them. There was a musical one and one in different languages, which they particularly took to. I’d recommend those as being good educational videos for young children.